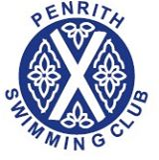 PENRITH Swimming Club summer gala has been held over the last two weekends, with more than 80 children taking part. The races were based on the age of the children at 31st August this year, and the first session was for club swimmers aged 11 and below. The primary school age events consisted of25-metre races in freestyle and backstroke for boys and girls aged four to eight, with eight-year-old girls also able to compete in 25 metre breaststroke. Swimmers aged nine to 11 swam in 50-metre events in all four strokes freestyle, backstroke, breaststroke and butterfly. The top three swimmers in each age/gender category were awarded ribands and any swimmer who exceeded the ASA silver level award times was allocated a “speeding ticket” rather than a riband. On Saturday, six members from the club travelled to Wearside to take part in the Sunderland Summer Splash. This also provided an opportunity for these swimmers to enter races in a 50-metre pool, with the set-up similar to that watched by many at last year’s Olympics. There was a smaller25-metre diving pool available for youngsters to warm up and cool down between races, which is not the norm. All swimmers enjoyed the experience of the50-metre pool and all achieved a reduction in their personal best times in at least one event. The following day it was the turn of those aged 12 and over and a few younger swimmers capable of the distance to compete in the second weekend of the club’s summer gala. Events were 200 metre freestyle and individual medley (50 metres of each stroke) for each gender and age range. Thanks went to all club officials, parents and swimmers who took part either as competitors or officials during the gala.